Our staff is always on hand to help with set up and teardown. The Soccer Centre is flexible with your needs because we want you to have the event your company had envisioned. 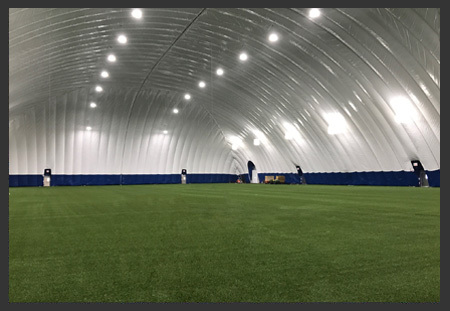 With over 78,000 sq ft of turf, bathrooms, office space, picnic style seating, concessions, baseball bases, batting cages, and soccer goals the Rossford Soccer Center Dome is the large, well-equiped venue you need for your next event. We are a local business that has been in the Toledo area for around 26 years now. Recently, we have been priviledged to expand our business into Rossford by building a brand new multi-sport Dome. We are proud to be a part of the community and look forward to working with more businesses in the area.